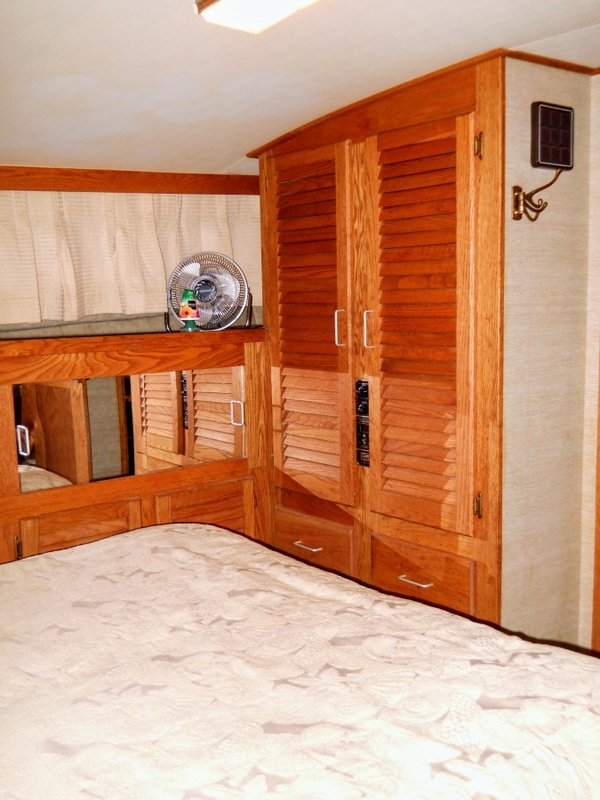 The 40 Aft Cabin was Silverton’s first double cabin design. 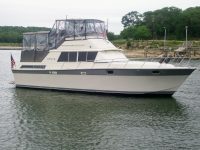 She is built on a solid fiberglass hull with a relatively wide 14-foot beam and a shallow keel for directional stability. 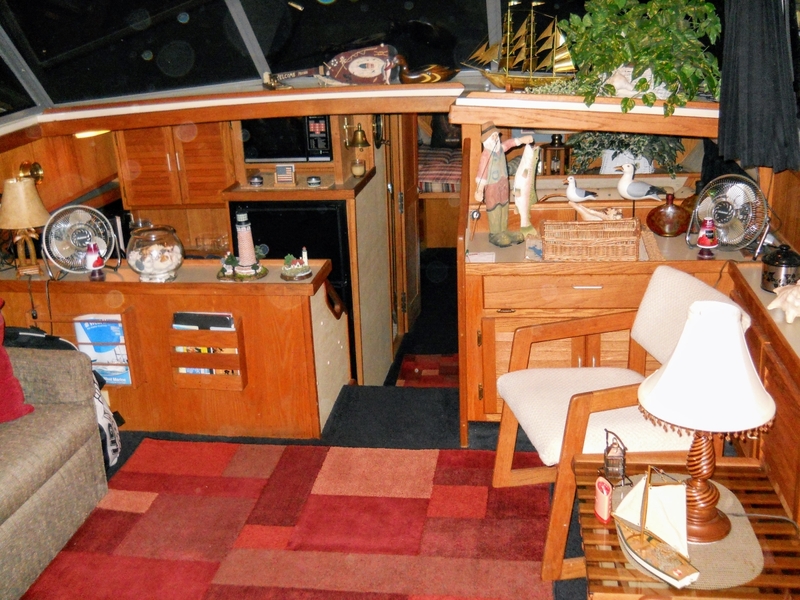 Her two-stateroom interior is arranged with the galley and dinette down, separated from the salon by serving counters. 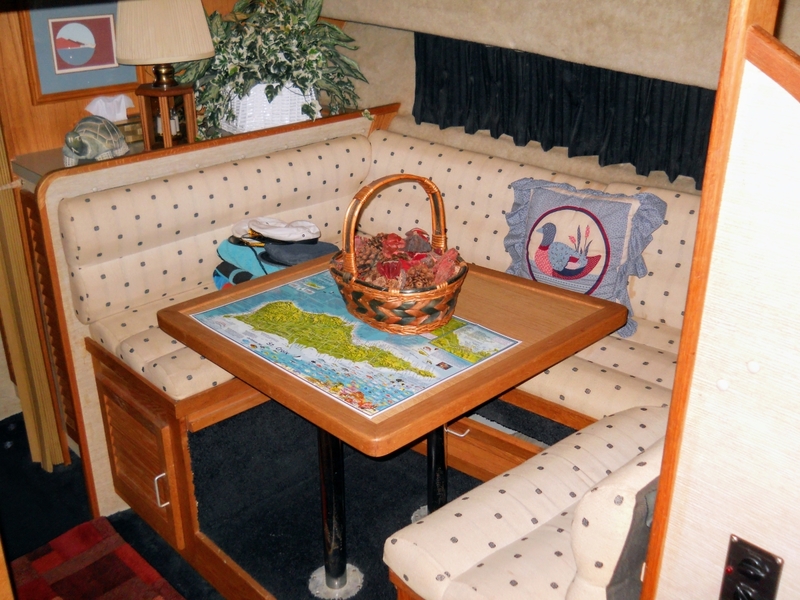 This is a fairly roomy layout for a 40-footer with wraparound windows providing plenty of natural lighting. 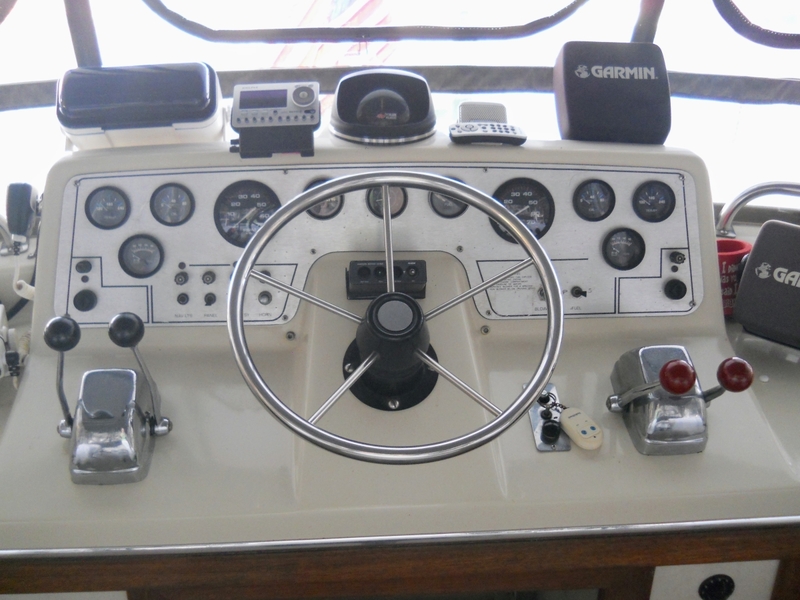 Both heads (front and aft) are fitted with shower stalls and light oak interior woodwork. There’s room for several pieces of deck furniture on the full-width aft deck, and the flybridge is arranged with guest seating aft of the helm. 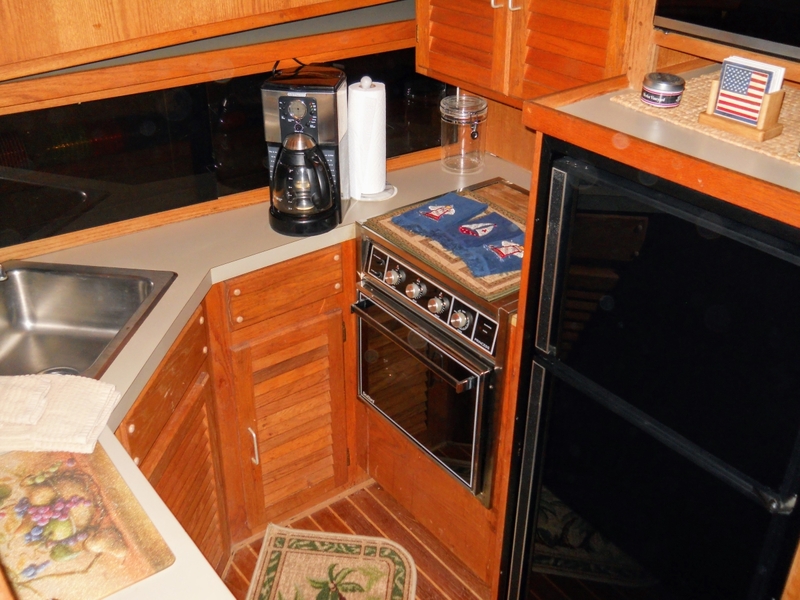 Additional features include a teak-and-holly galley sole, full-size refrigerator, integral bow pulpit, and a swim platform. She has been impeccably maintained, inside, outside, and mechanically. She has always been a freshwater lady and currently resides at Eisenhower State Park (Denison, TX) on Lake Texoma. All offers are encouraged and will be seriously considered.